Many people in the developing world today still suffer from conditions of malnutrition and extreme poverty. From a humanitarian vantage point, the international community cannot ignore their plight. Environmental problems, population pressures, and food shortages count as challenges for all humankind. It accordingly seems imperative that the industrialized and developing worlds work together to address them. Moreover, as a major industrial nation, Japan should assume a leadership role in that drive. 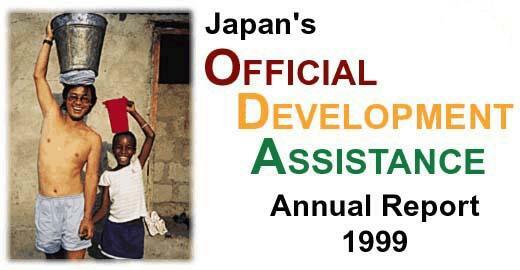 Providing aid to the developing world and working on global issues can be expected to earn Japan's better ties with other countries, particularly in the developing world, bolster its stature in the eyes of the international community, and contribute to broader global understanding of and support for Japan and its people. Furthermore, ODA plays a very significant role in ensuring Japan's own stability and prosperity by promoting Japan's best interests including the maintenance of peace. In a world that has been brought closer together by trends in trade and investment, and as a country heavily dependent on the rest of the world--and particularly many developing countries--for its own supplies of resources, energy, and food, Japan stands to gain in economic terms by utilizing aid to promote economic progress throughout the developing world.